Technopic: Pidgin Still Supports Facebook Messenger! Here's How to Get It Back! Pidgin Still Supports Facebook Messenger! Here's How to Get It Back! Pidgin surprisingly is still able to support Facebook Messenger, even though most multi-protocol messenger apps have to use a web wrapper to provide Facebook Messenger functionality. 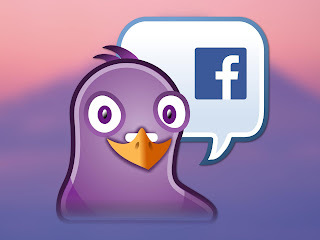 Pidgin just won't include the new Facebook Messenger plugin until revision 3 of libpurple is released. You can download the Facebook plugin yourself and install it, though, to get full Facebook Messenger functionality back in Pidgin. This can all be done through a plugin called "purple-facebook". Make sure Pidgin is not running. After extracting the library files, move the libjson file to Pidgin's program folder (which will be in C:\Program Files\Pidgin or C:\Program Files (x86)\Pidgin). Move the libfacebook file to Pidgin's plugin directory (*same directory as before*\Pidgin\plugins). Start Pidgin, find the Facebook plugin in your account types list (the one that does not say "(xmmp)" next to it), and use your phone number or email address to set up your login. Rather than be redundant here, I am simply going to direct you towards this page, which has instructions on how to select and download an installation package for your particular distribution.